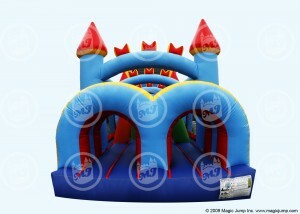 This mammoth unit measures 60 feet long and is an excellent attraction for school and camp events. 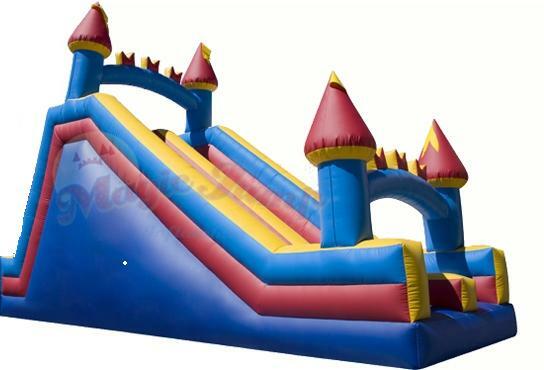 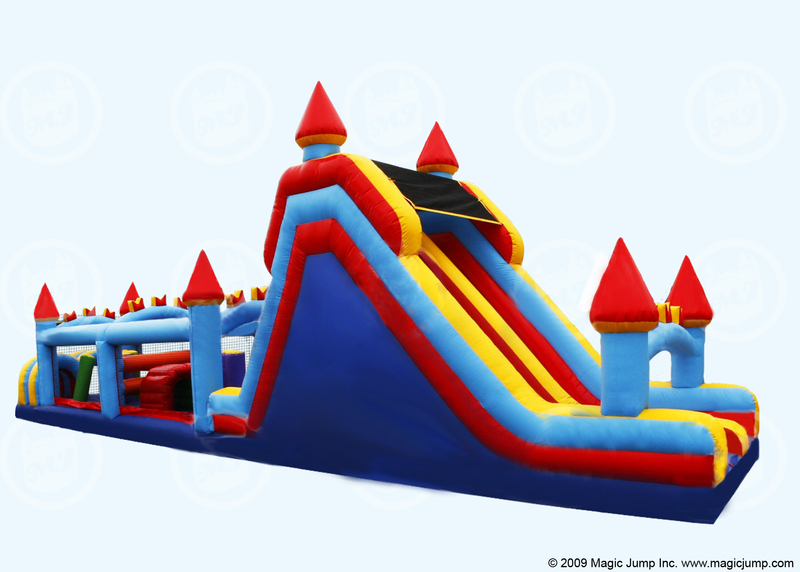 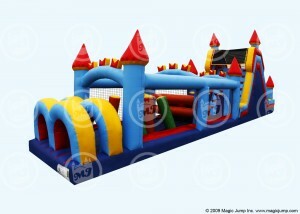 This 2 lane unit allows kids to race through an obstacle course where they push, jump, crawl and climb and finish with the 18ft slide. Manufacturer recommends that riders be 4ft tall for this unit. 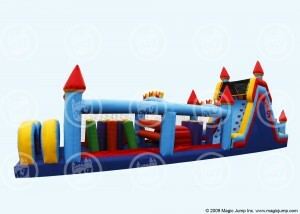 The slide platform is 10 ft high and the decorative towers top off at 18 ft.